WASHINGTON — Following the Sept. 11 terrorist attacks in 2001, the United States became the first nation in NATO history to invoke Article 5, the organization’s premise that an attack on one country is an attack on all of its member countries. The rarity of this act is why some officials raised eyebrows when NATO made it clear last year that a large-scale cyberattack against a member nation could now trigger the same response. But has any event come close to that level? Although small in size and budget, Estonia is widely acknowledged as a leader in cyber defenses, due in part to necessity. Among the most wired nations in the world, Estonia famously suffered a massive digital attack in 2007 that sent the country into a flurry of investing in digital defenses. The country is also home to NATO’s cyber center of excellence. Luik, speaking to Fifth Domain during a recent visit to Washington, did however, raise concerns about what dangers may already be planted in existing systems. Like many other institutions, NATO faces the challenge of members who simply don’t want to share much information about their cyber capabilities. Andrea Thompson, U.S. Undersecretary of State - Arms Control and International Security, agreed that concerns about sharing are an issue, but expressed optimism it could be worked through. 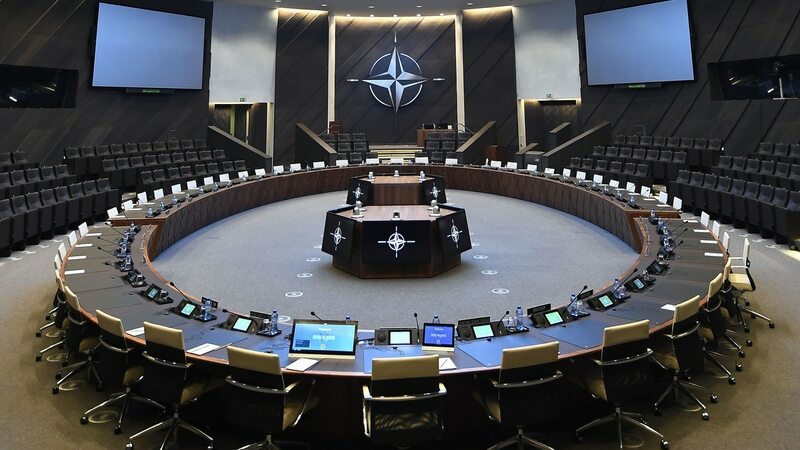 The upside, Luik said, is that NATO has “found a good way of exchanging information in a very sound, confidential setting,” which is helping to thaw that information sharing issue among the nations. More than that, he said NATO is set for the near-term with how it handles cyber operations. He compared the current setup to to the structure that has existed for decades with the alliance’s nuclear capabilities in which NATO acts as an organizational hub but national governments offering their own capabilities. And Luik sees another comparison between cyber and nuclear. “There has never been a real big cyberattack against another country which would utilize all the fearsome cyber weapons which are in the hands of many governments.